Home > WELLNESS > Are You Living a Life That Matters or One that Just Looks Beautiful on Paper? Are You Living a Life That Matters or One that Just Looks Beautiful on Paper? Have you ever been in that spot where your heart is telling you one thing, but your head is telling you something totally different? We’re willing to bet the answer is yes, because at one time or another, we all have. The real question is, what did you do about it? It’s easy to follow status quo, to always do what you are told… what you “think” you are supposed to do, but when your heart tells you that your happiness and fulfillment lie elsewhere, it takes courage and trust in yourself to follow that guidance. Eric Wang is doing just that. We wanted to give Eric this opportunity to share his story with you. Maybe you’ll disagree with his choices in life, or maybe, just maybe he’ll inspire you to take a stand for yourself in some big or small way. We only have so much time on this planet. Why not spend it doing what you love to do versus what others perceive and tell you is safe, secure, and what you are supposed to do? The Art of Creating Your Own Job Description: Are You Living a Life That Matters or One that Just Looks Beautiful on Paper? Yesterday night, I got into a big fight with my girlfriend Lisa. In her eyes, I had thrown away my life and my potential. In my eyes, I had – for once in my life – stood up for what I believed in. “Why can’t you just be a regular pharmacist, like everyone else in our class?” she asked, accusingly. “Babe, you know that’s not where my passion is. I love to write. I love to blog, and inspire people to take personal responsibility over their health. Whether you like it or not, that is me,” I responded. I’ve always advocated that medications alone are not the way to achieve long-term health and wellness. This stance has infuriated many in the fields of pharmacy and medicine. This stance has left me broke and without a degree to show for my 6 years at pharmacy school. At graduation – the graduation I thought I would be a part of until about 4 months ago – last week, while sitting on the balcony bleachers, watching my old classmates called up one by one, victoriously walking down the aisle to claim their hard-earned diplomas, I wondered if I had made the right decision. There was a sinking feeling in my chest telling me that I was a failure. I had shamed my parents. I wanted them to be proud. But, instead, I couldn’t shake the feeling that I let them down. I decided to “throw away my life and my potential” in order to help individuals like my dad to fight against obesity, to fight for weight loss, and for their health and well-being. I’ve seen my dad struggle to lose weight. It kills me inside that my own father is overweight and that he battles uncontrolled diabetes. What kills me is knowing that if he doesn’t change his behavior – and soon – he will face an untimely death, like so many others. Since losing his job 2 years ago, my father has fallen in and out of depression and anger, secretly sneaking down pound cake and Klondike bars – and then trying to hide the evidence in the bottom of the trash can. Half of me wants to point the finger at my father and blame him for not taking care of himself. But, the other half of me knows that my dad has already tried over and over to lose weight, each time feeling more and more hopeless. This part of me knows that he already knows everything I tell him – that he needs to exercise, that he needs to eat healthily. But, deep down, I know that he has lost all hope for himself. And so he will continue to get sicker and sicker as I feel more and more powerless to help. That is why I decided to abandon my “promising” pharmacy career. Sure, the title “clinical pharmacist” sounds a lot more prestigious than “health blogger.” The title of clinical pharmacist looks a million times better on paper – it carries weight. It carries a reputation. Health blogger? Not so much. And, as much as it hurts to say this, I don’t know if Lisa will truly understand why I chose to make this switch. Perhaps no one will truly understand. My only recompense is knowing that I had stayed true to myself. When you live a life fueled by passion and live a life that is true to your heart, people may not rush in droves to support you. In fact, they may abandon you. When you take a stand, you may find yourself standing alone. You may ask yourself if you’ve made the right decision. You may second-guess yourself and your true intentions. You may ask yourself, Why was I so stupid? Why couldn’t I just stay put and act like everybody else? What really matters to me? What do I really want out of life? Will my 6-year-old self be proud of me if I make this life decision? Am I doing this because my heart is truly in it or because this is going to look good on my resume? As for me and Lisa, I hope everything works out. I hope she’ll grow to understand and respect my decision. But, if it doesn’t work out, I know in my heart that I am living a life fueled by true passion and enthusiasm, not just one that looks beautiful on paper. 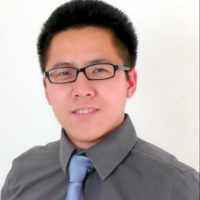 ERIC WANG, PHARM.D. CANDIDATE 2012 is a health blogger. Having worked as a medical writer and a pharmacy intern at a major inner-city hospital in Philadelphia, Eric has seen firsthand what occurs behind the scenes in Big Pharma and in healthcare, and he has grown disillusioned with what the profession of pharmacy has become. In response, he started Health Demystified in late December 2011.